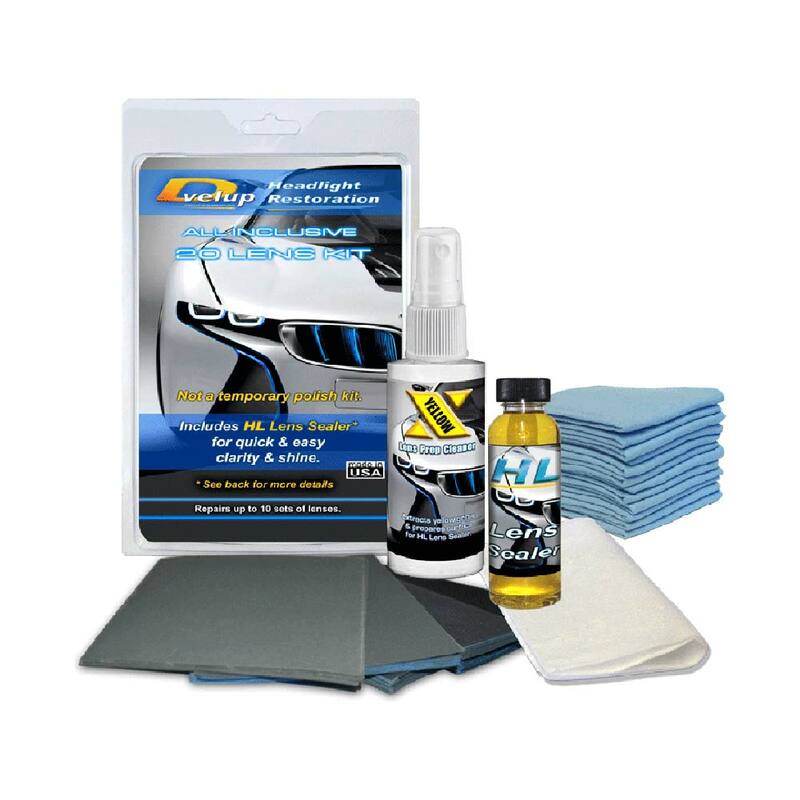 Complete system for DIY users includes sandpaper, prep cleaner and coating. 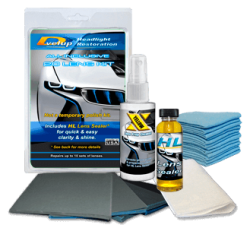 Complete Headlight Inclusive Restoration Kit for the Do-It-Yourselfer or curious professional. 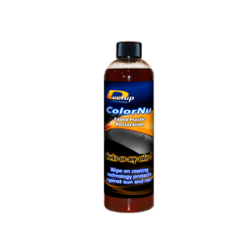 What it does: Use on weathered yellow or cloudy headlight lenses. 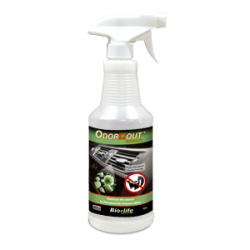 It will correct surface failure by removing corrosion, restoring clarity and providing a factory like finish. Main products: Yellow X and HL Lens Sealer. Yellow X is an agent used in corrosion removal from lenses, prepping the area for application of HL Lens Sealer. Preps lens by altering surface energy needed for HL Lens Sealer bonding. HL Lens Sealer is a single part protective coating that provides a factory like crystal clear finish. Its wipe-on formula self levels. No masking, spraying or special curing equipment needed. 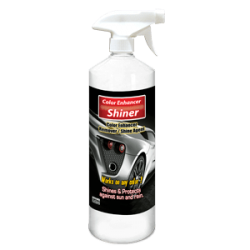 This headlight restoration system removes corrosion, restores clarity and provides a factory like finish. Yellow X is an agent used to remove corrosion from lenses prepping the area for application of HL Sealer. HL Sealer is a single part protective coating that provides a factory crystal clear finish. Its wipe-on formula self levels. No masking, spraying or special curing equipment needed. 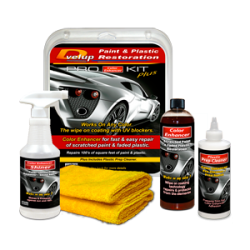 Complete Headlight Restoration Kit. Great for the DIY car owner or the curious professional. Repairs a minimum of 20 lenses.